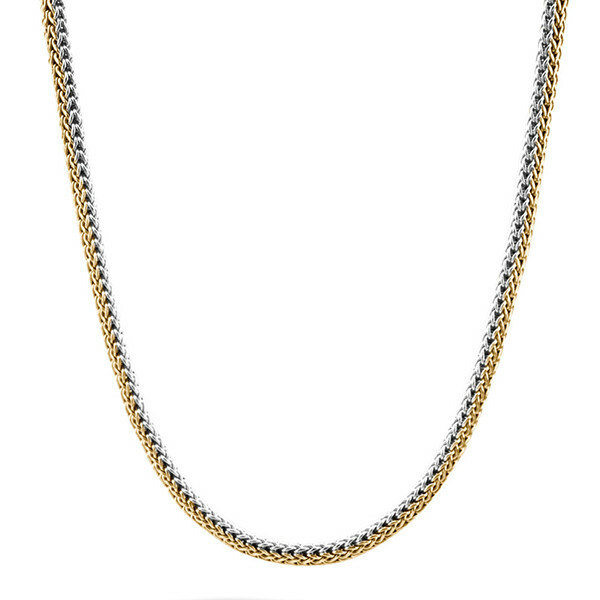 Today's woman needs the versatility of this fabulous necklace from the Classic Chain collection by John Hardy. The pristine sterling silver side can quickly change to a fiery 18kt gold by simply reversing the piece. A decorative two-toned station doubles as the clasp and balances the piece nicely. You'll love the ease and beauty of this John Hardy necklace!